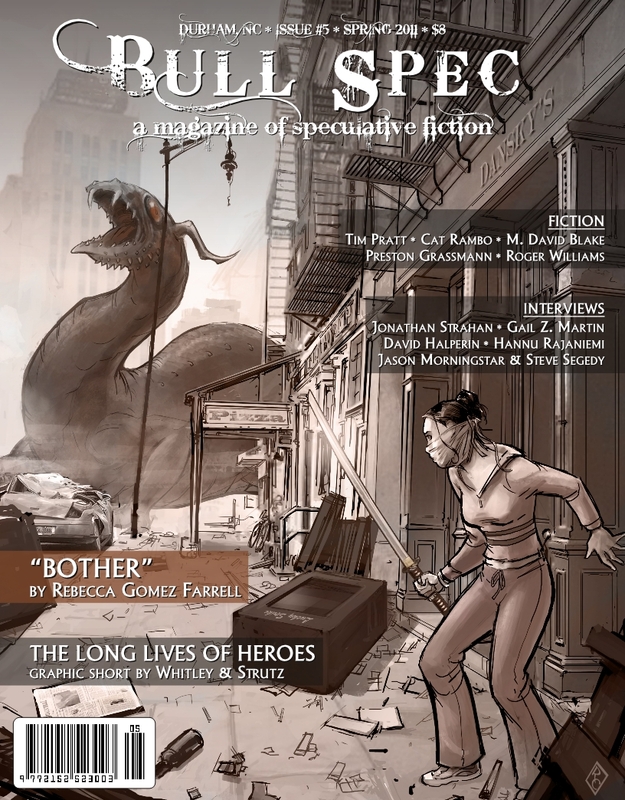 “Bother,” an urban fantasy short story, is in Bull Spec, Issue #5, which is available both in print and in PDF. The cover of the issue is an illustration of “Bother” done by the amazing Richard Case. It was an honor that he chose my story to depict for the cover! You can purchase a year’s subscription to Bull Spec here for $15 + shipping and handling, or you can order Issue #5 on its own in either print or PDF forms. The apartment is taking dingy to a new level. Air quality is suffering. Trees keep falling down, and there are piles of refuse all over the neighborhood. Yet Jonah’s more concerned about his awesome day at work than he is about the dragon that’s taken up residence outside his home. His wife, Susan, isn’t so apathetic; she spends every waking moment with a vigilante force, trying to rid the district of the dreaded creature. Can they figure out what’s worth fighting for together, or will this couple be yet another casualty of the dragon? I also have a really bad quality video clip of myself reading from “Bother” at the Issue #5 release party on 4/15/2011. It’s so bad, it’s almost not worth posting, but I’ll do it anyway. Hope you enjoy this! 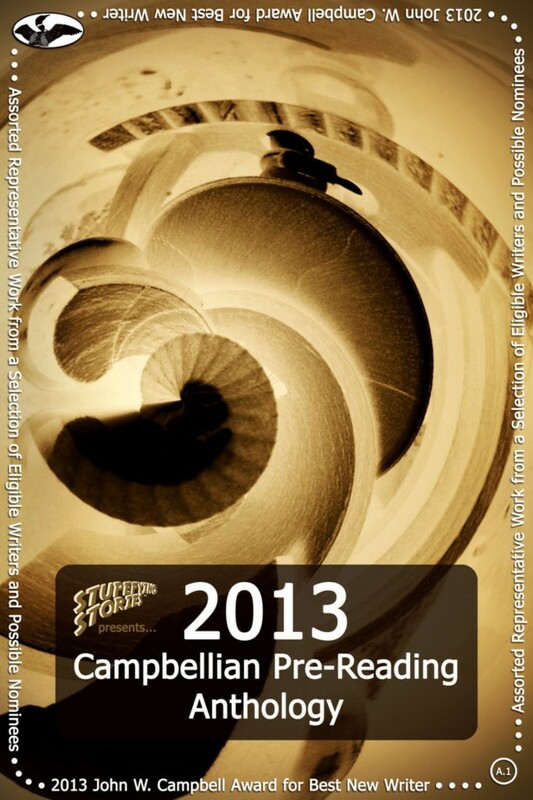 Additionally, “Bother” was republished in the 2013 Campbellian Pre-Reading Anthology. 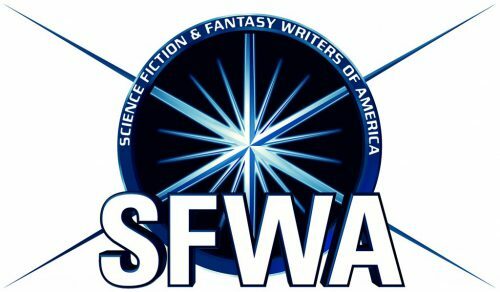 the John W. Campbell Award for Best New Writer presented annually at WorldCon to an outstanding author whose first professional work of science fiction or fantasy was published within the previous two years. I was not nominated–I had no expectation that I would be!–but I was happy to provide the additional exposure for “Bother” as well as be included with an amazing listing of authors. Pingback: The Gourmez » Blog Archive » Fiction Bragging Reminder: Last Week to get “Bother” for Free!